The prevalence of pink has exploded over the past few years, for good reason. Used in interiors, the color can function as a soft neutral or bold accent color, depending on the shade. The popularity of soft beige-brown tones has given the color more unisex appeal, and pink is no longer solely considered the official color of little-girlhood. In honor of Valentine's Day, I've rounded up some pink things I love, all of which lean more fresh than fussy. 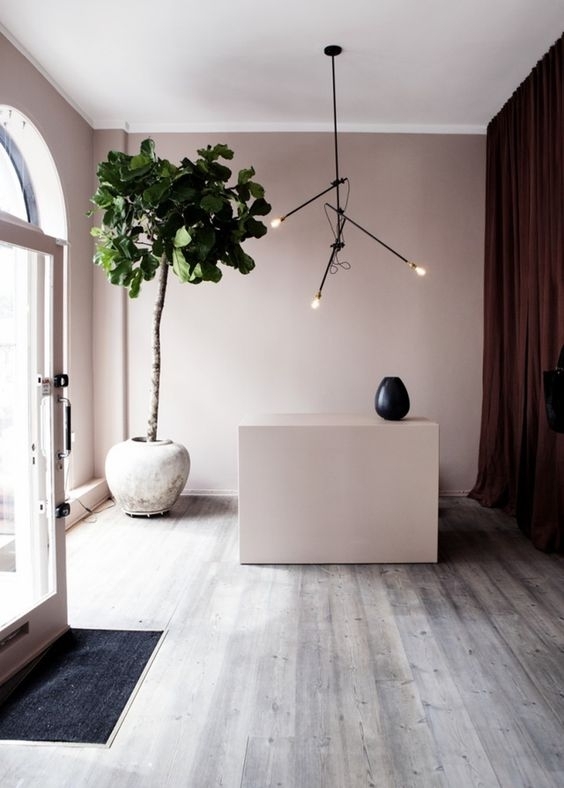 Farrow and Ball's Pink Ground paint is sophisticated, warm and earthy. 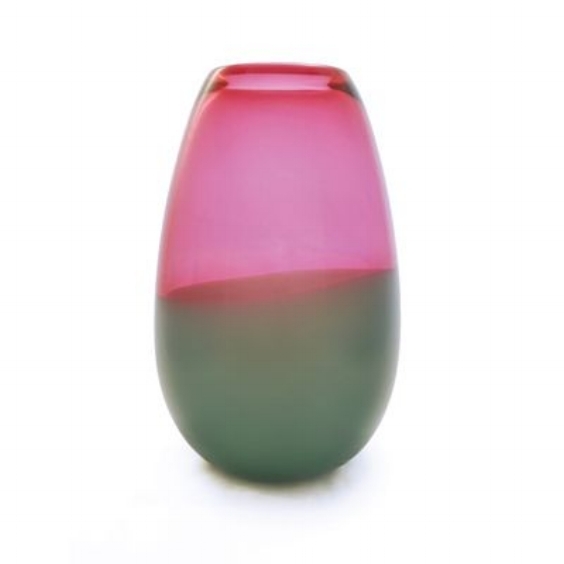 Siemon & Salazar's Two Banded Barrel Vase in vibrant pink and forest green; $350. The Sleep Shirt makes beautifully tailored sleepwear based on vintage men's shirting. Their Short Sleep Shirt in Pink Oxford Stripe also makes a great oversized shirt or beach cover up; $230. 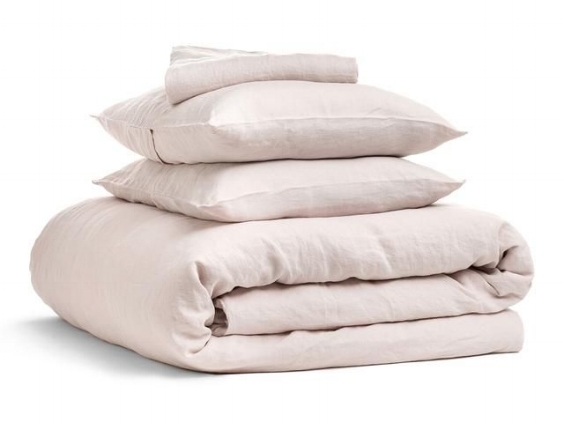 Parachute's Linen Venice Set in the perfect shade of blush; $399 for queen. 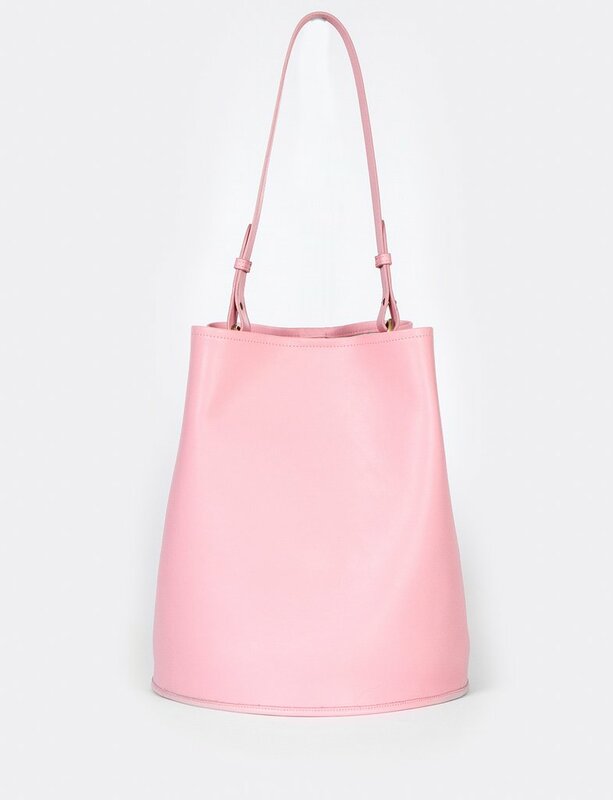 A favorite bucket bag by Creatures of Comfort in bright pink; $595. 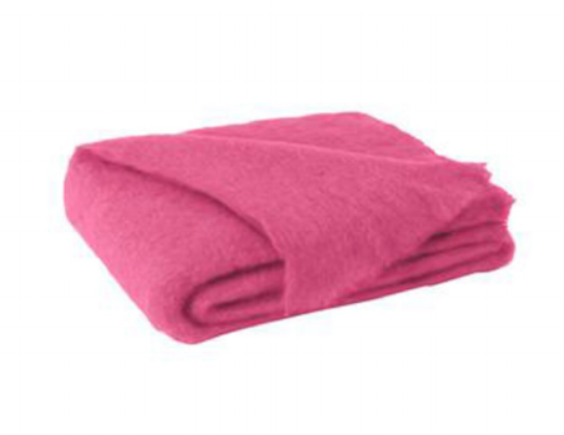 A cozy fuchsia mohair throw woven in New Zealand from 100% wool; $298. No Valentine's Day roundup would be complete (sufficiently corny) without a book of poetry. Pablo Neruda's Love Poems is a favorite; $7.